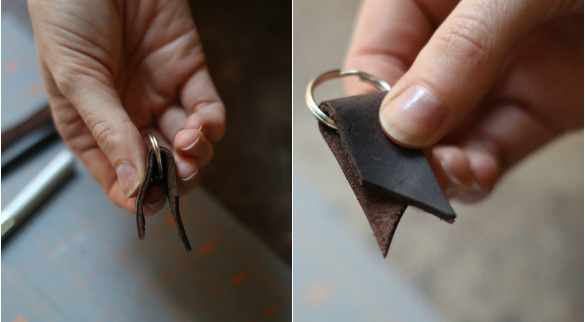 So we made leather key rings! 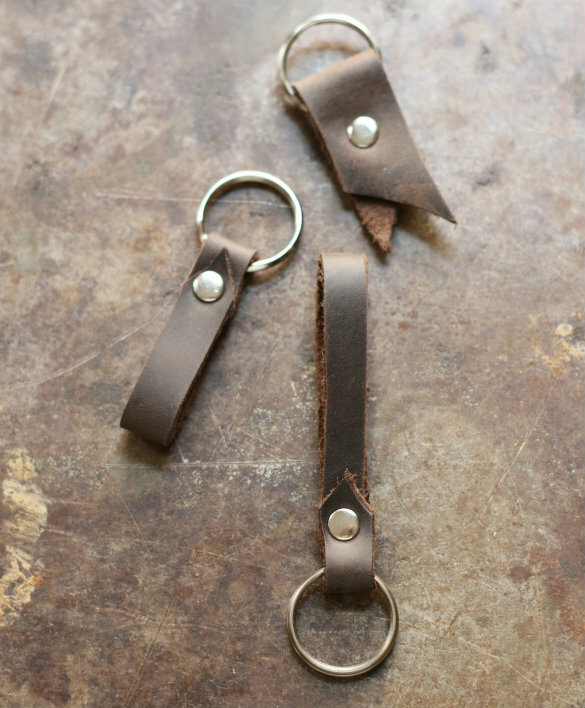 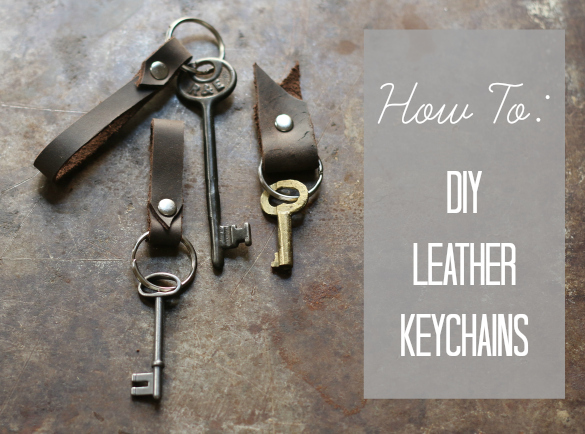 These key fobs are so simple to create, feel a little rustic and make for a fun DIY gift — all they require are a few straight cuts, simple folding and a single rivet. 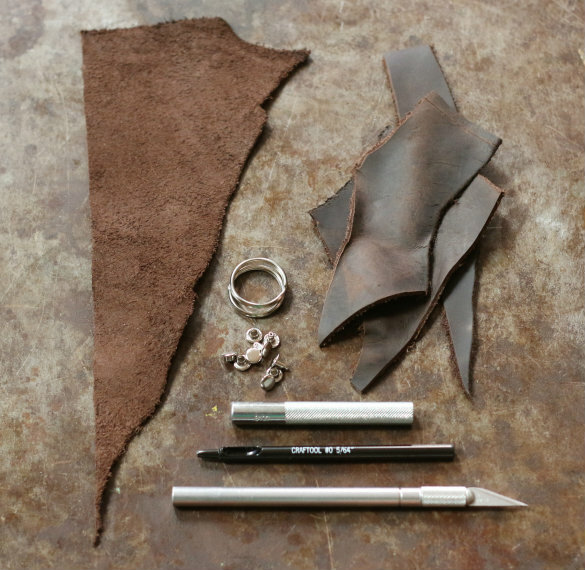 If you don't have (or want to use) leather scraps, faux leather or heavy-weight felt would make fine substitutes. 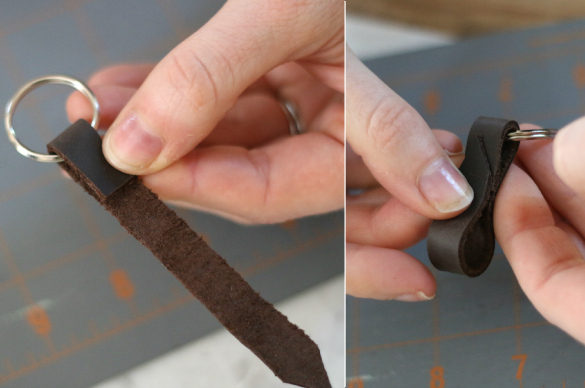 Cut the leather scraps into strips with a sharp craft knife against the straight edge of a ruler, creating a clean cut all the way through. 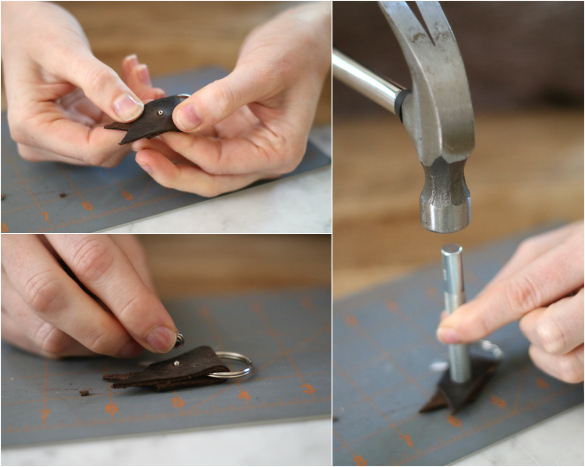 Very sharp scissors will also work if you have a steady hand. 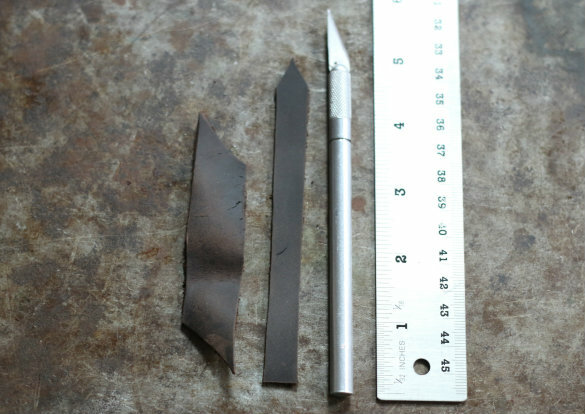 You can experiment with different size strips, we opted for 3/4"x3" and 1/4"x5" since that's what our leftover scraps would yield. 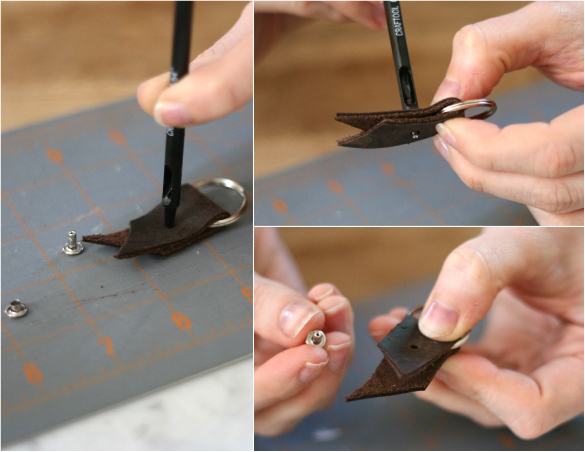 Gently tug the leather to ensure rivet is secured and you're good to go! 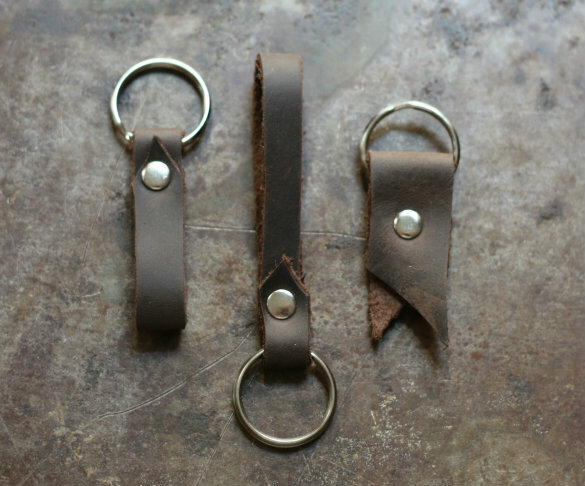 You can experiment with different lengths and widths to achieve different keychain looks and sizes. 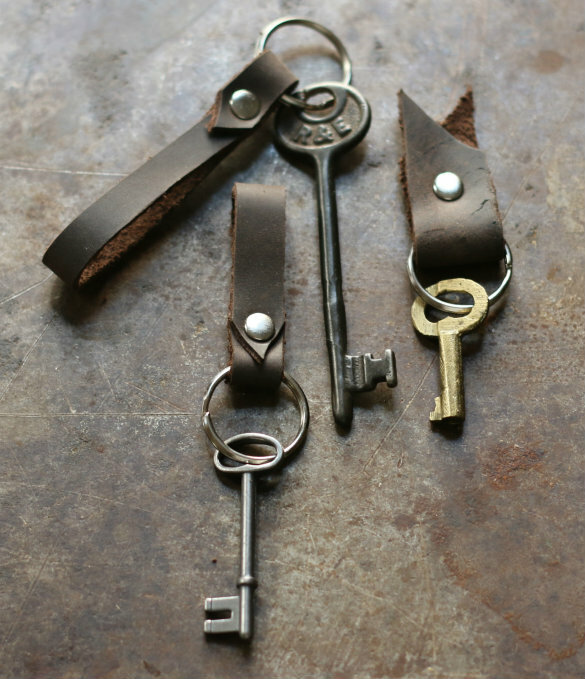 Fit with your favorite keys for immediate use, or fashion with an antique key to give as a housewarming gift. 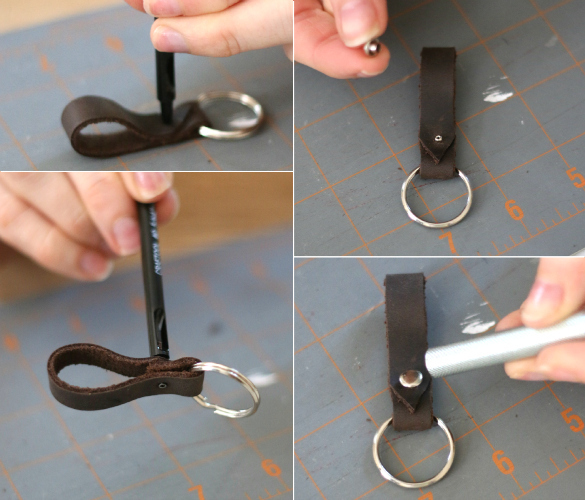 How much does it cost to make one?